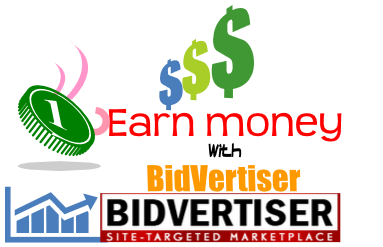 Bidvertiser is a best online advertising company.Which offer you to earn money online by displaying ads on your blog.if u have a blog/site and his traffic amount is good then BidVertiser ads service is good for your blog .BidVertiser allow you to show text or images ads on your blog.Display the BidVertiser ads on your website or blog and get paid for (P.P.C) Pay per clicks.Make money online by adding the BidVertiser ads to your site or blog.You can add or show BidVertiser adds on your blog sidebar ,in Layout and in post too to earn extra money.you can earn money by BidVertiser as Publisher. 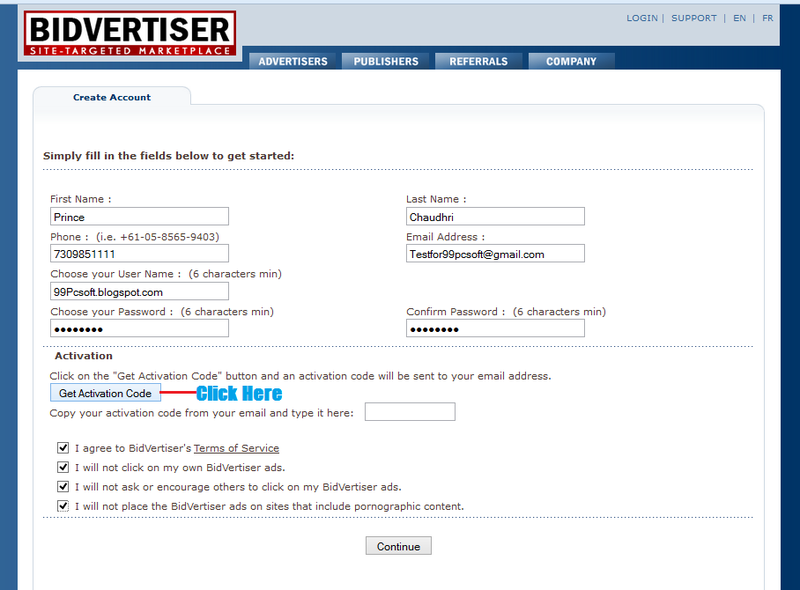 So sing up now as Publisher and Join BidVertiser now and It will turn your advertising space into cash! if u don't know how to sing up for BidVertiser then follow below steps. !! 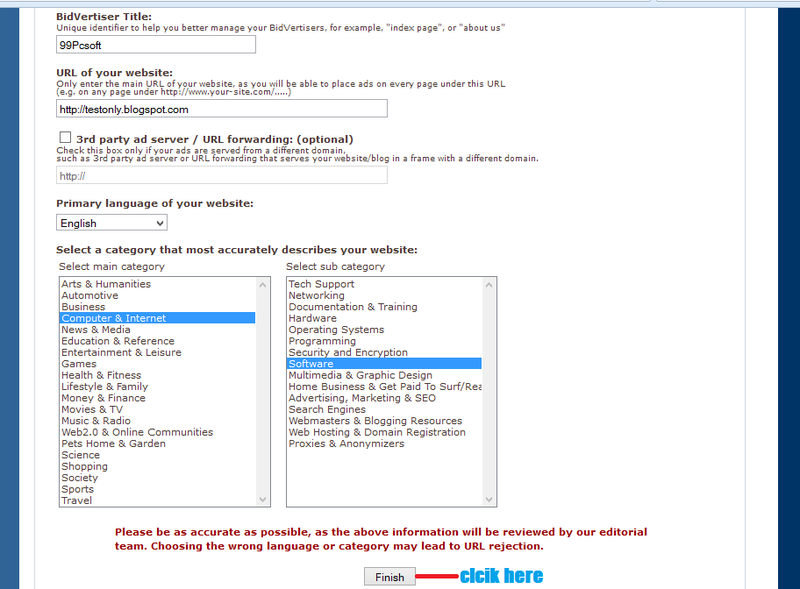 : Sing up Instruction :!! 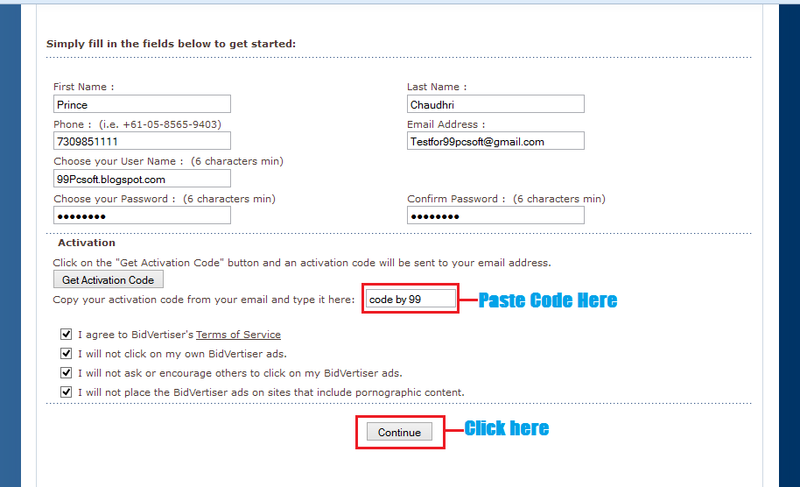 Step:-5 Now check your email inbox (which you entered in sing up forum) for activation code. 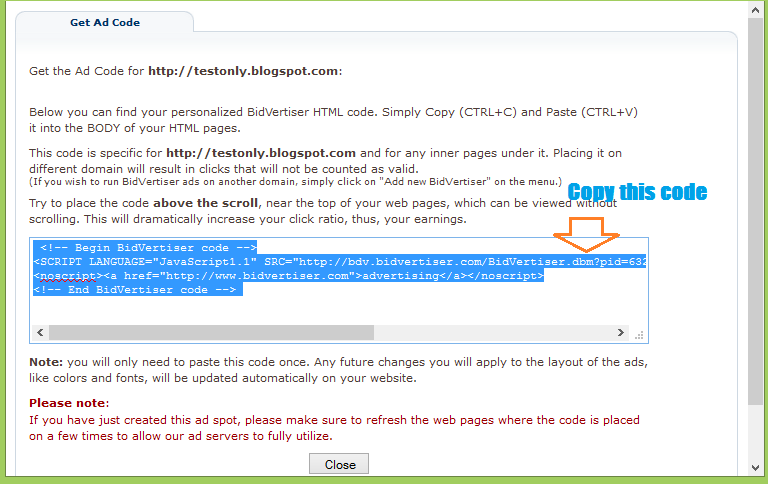 Step:-6 Now copy the activation code and paste in box given (Watch below image) Read all terms of Service Carefully now check all box and then click on Continue button. 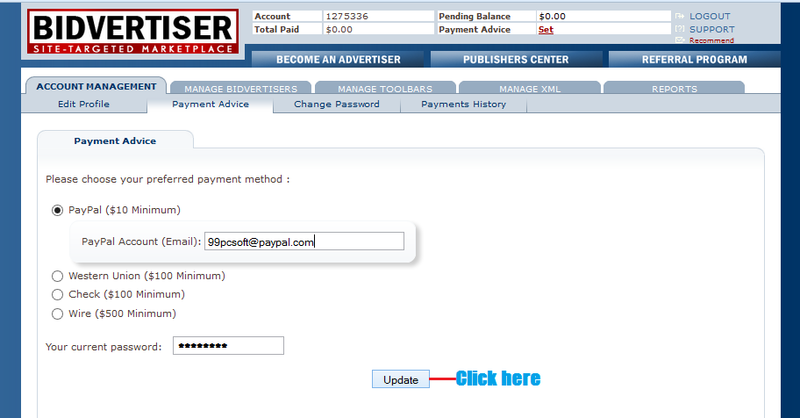 Tip:- BidVertiser will pay u when you reached minimum payout.start earning Good Luck..! !